Coastal Improvement Corporation provides building services to clients who value diligence, resourcefulness and creativity in a partner. We maintain a network of offices in the State of Florida, with a staff of competent employees who work on more than 200 projects each year. With $5 million in annual construction volume, we rank high in the industry�s major market segments. As a North Florida-based company, we are able to offer clients the accessibility and support of a local firm with the stability and resources of a multi-state organization. We recognize our primary asset is people. To be successful, Coastal must be a rewarding place to work. We provide opportunity and encouragement to help our people reach their potential. We work with our clients as a team. Mutual respect provides the foundation for our success. We remain true to our founding values of quality, honesty and hard work. We have the highest ethical standards in the industry. 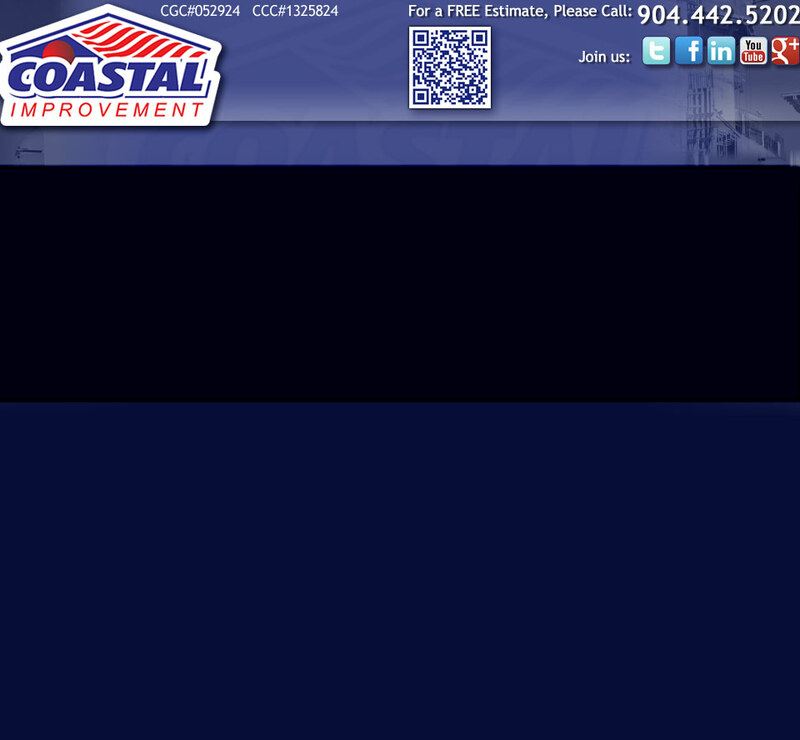 We �do the right thing.� Coastal is a business based on trust. Coastal is consistently associated with the high standards of service, quality, personal attention to clients, and integrity. Because of this reputation the company has the privilege of leading some of the highest profile, often one-of-a-kind, projects in the south east. We are proactive in finding solutions for our clients that best achieve their goals. Lasting relationships are the lifeblood of our business. We want the client to feel that our staff is even more committed to the effort than their own staff�that�s what distinguishes us. Personal attention to our clients as individuals�caring about them as individuals. Environmental Health and Safety is an integral part of risk management at Coastal, responsible for oversight and implementation of the company�s health and safety programs. Coastal�s history has demonstrated that the more aligned our local business units, subcontractors and partners are with our safety ideal of loss avoidance, the safer and more successful the project outcome. At Coastal, we continually evaluate our operations and controls and strive to make our organization the best in the industry. The Safety Organization is structured to operate under one umbrella providing a strategic link and support function between Corporate Risk Management and Coastal�s local business units to assure that the risk management safety priorities are providing impact through an engaged approach. 4) Practice and Expect Safe Behavior Everywhere, Every Day. Coastal strives to continually improve and identify risk while creating and enforcing the programs to reduce that risk whether through a best practice, new guideline, or policy. This results in a successful track record of bridging the company�s safety standards, with the reality of on-site project operations further supporting and driving the message to all level of field and project staff. We recognize the right of our employees to a safe and healthy workplace. Coastal�s culture embraces the principle of Building L.I.F.E. (Living Injury Free Everyday) with an expectation that all projects provide the safest workplace possible for our employees, contractors, clients and the community.